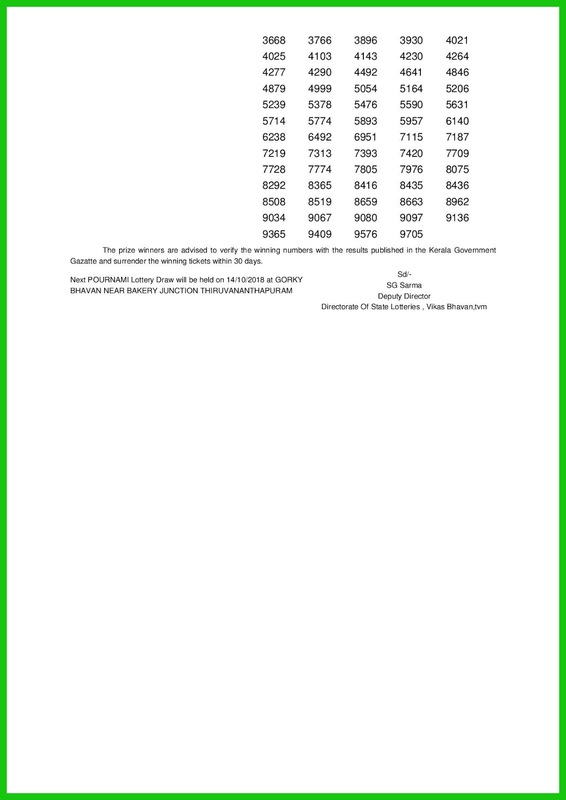 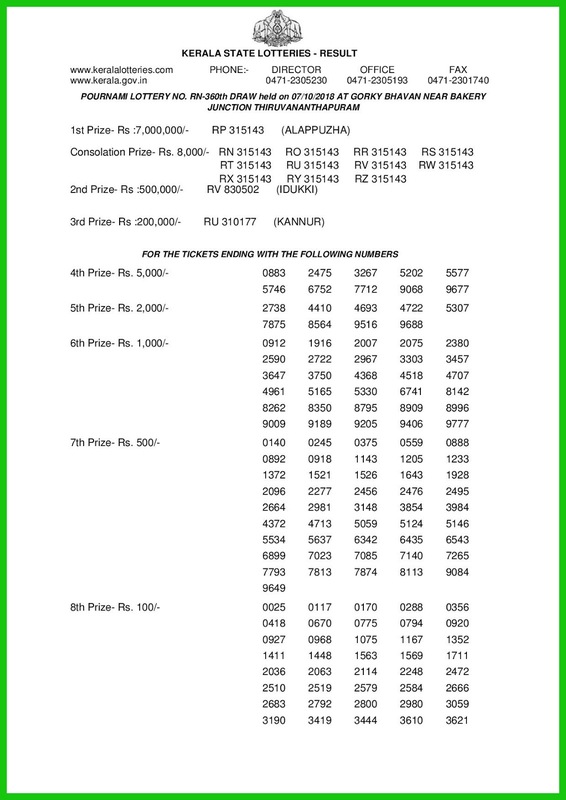 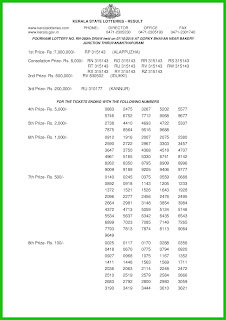 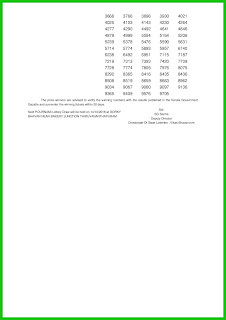 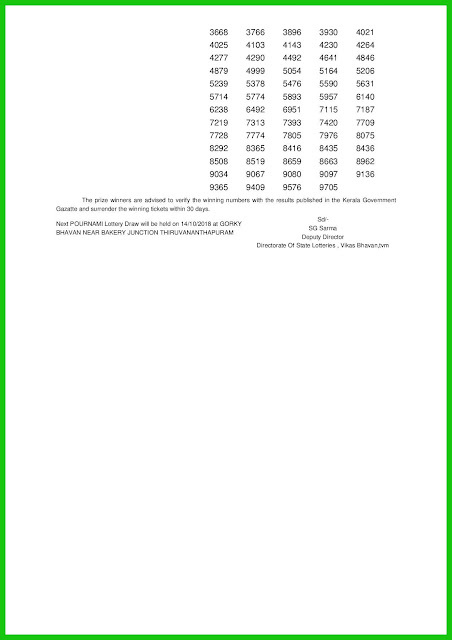 Kerala Lottery Result Today 07-10-2018 is pournami lottery RN 360. 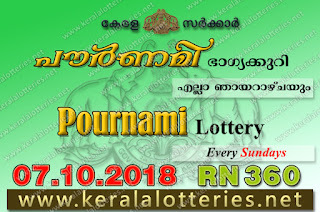 Today kerala lottery result will be announced on 07/10/2018 at 03:00pm. 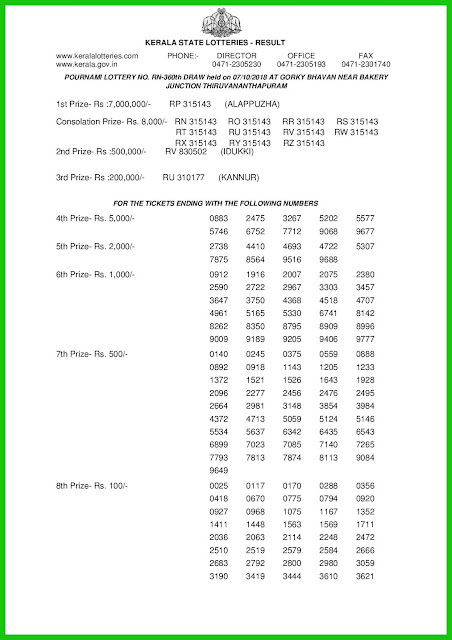 The kerala lottery department held the draw of RN 360 Pournami lottery today 07.10.2018 at sharp 3pm with the presence of officials in the Auditorium of Sree Chithra Home Thiruvananthapuram.